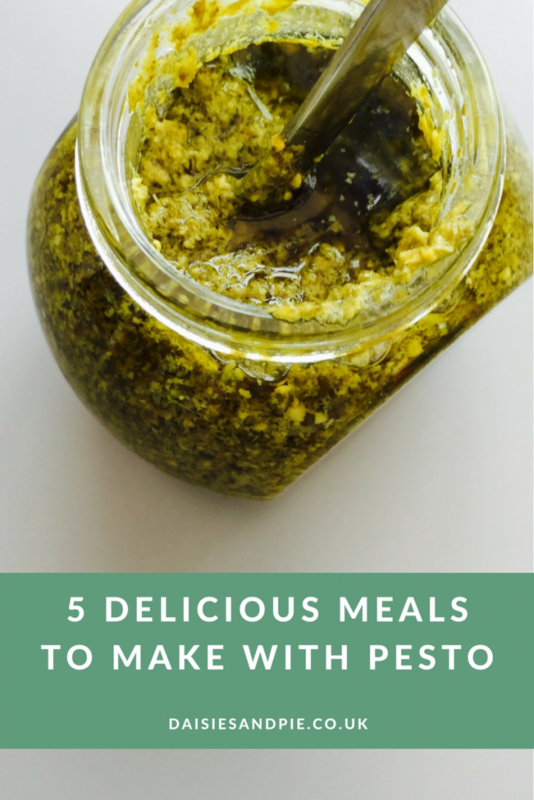 If like me you always have a jar of pesto on the go in the fridge… then here’s five recipes which taste delicious and use up any leftover pesto. Super quick to make this midweek recipe is perfect for when you’re short on time but still want a flavoursome meal. Tumble freshly cooked spaghetti with pesto, add rocket leaves and crumble on the feta cheese. 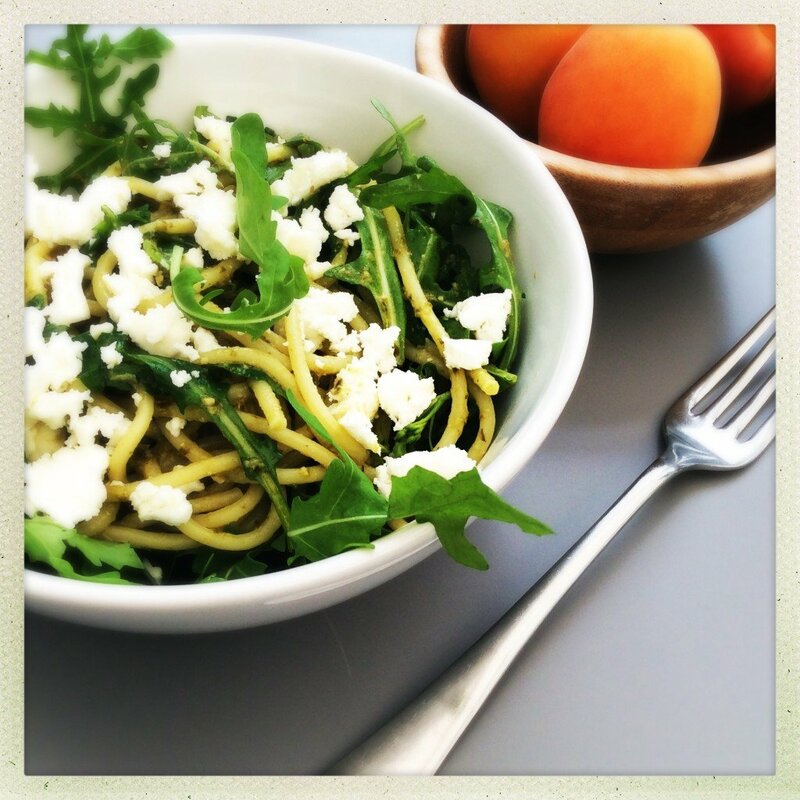 Grab the Pesto & Rocket Spaghetti recipe here. Spread your toast with a layer of pesto then top with any cheese you like and grill until hot and bubbling. Add a quick salad and you’ve got yourself a really easy midweek meal. Use your pesto to create this deliciously easy tart. 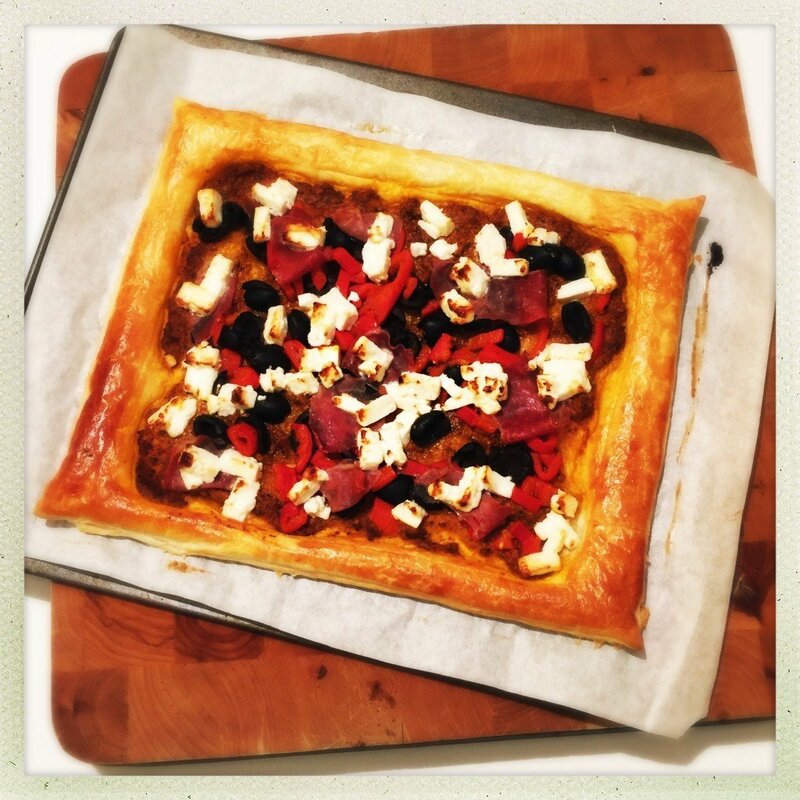 Layer up shop bought pastry with pesto, olives, peppers, feta and parma ham for a really tasty midweek dinner. Grab the Mediterranean Tart recipe here. Mix tinned tuna together with a generous spoonful of pesto and squeeze of lemon juice, serve with fresh green salad, black olives and sun dried tomatoes. Add a couple of simple garlicky bruschetta for a real Italian vibe. Toss freshly cooked baby new potatoes in a couple of spoonfuls of pesto and a handful of fresh basil leaves. Pesto potatoes are delicious served alongside grilled chicken or salmon. You might also like our five things to make with frozen berries.